we welcome you to the 8th UCT Science Day! The goal of the UCT Science Day is to provide an interactive platform for clinicians, scientists and students involved in cancer research. The previous Science Days generated a lot of enthusiasm and were attended by around 250 participants from all campuses of the Goethe University and affiliated institutions. 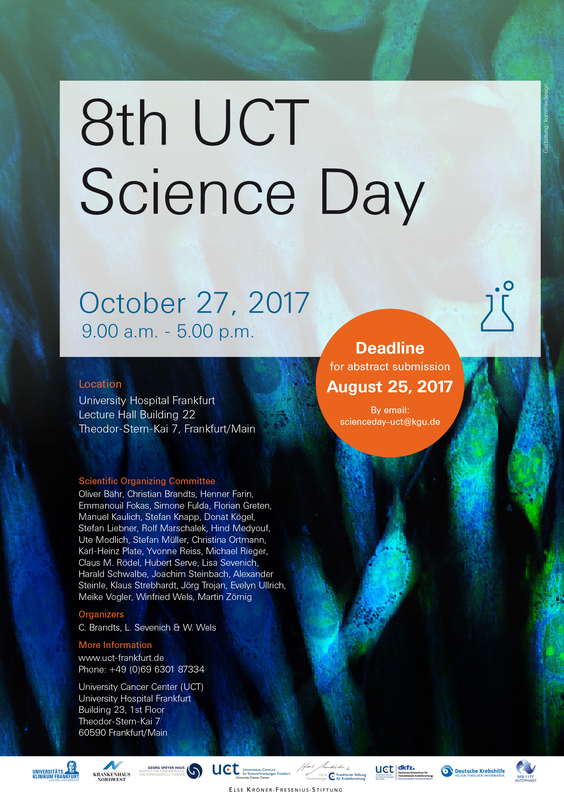 We hope that the 8th UCT Science Day will be equally successful and we encourage you to attend. 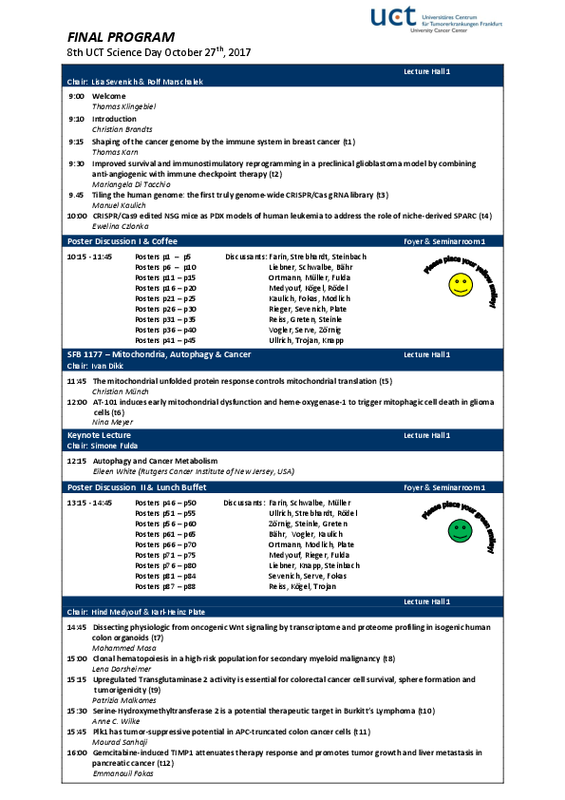 In order to strengthen interaction we will have short presentations and poster discussions. The Keynote Lecture is held by Eileen White, As­so­cia­te Di­rec­tor for Ba­sic Sci­ence at the Rut­gers Can­cer In­sti­tu­te of New Jer­sey, USA. We kindly ask you to submit abstracts by using the abstractform in English. Please send your abstract to scienceday-uct@kgu.de until August 25, 2017. Submitted abstracts will be subjected ot reviey by the Scientific Organizing Committee for oral and poster presentations. Please forward the announcement to all reseachers campus-wide. On behalf of the Scientific Organizing Committee, we wish you a very stimulating and rewarding meeting!